Of all the cookbooks I have in life, I love this one the most. My old, worn down allrecipes cookie collection. It’s like fifty cents used on Amazon, and it is AMAZING. 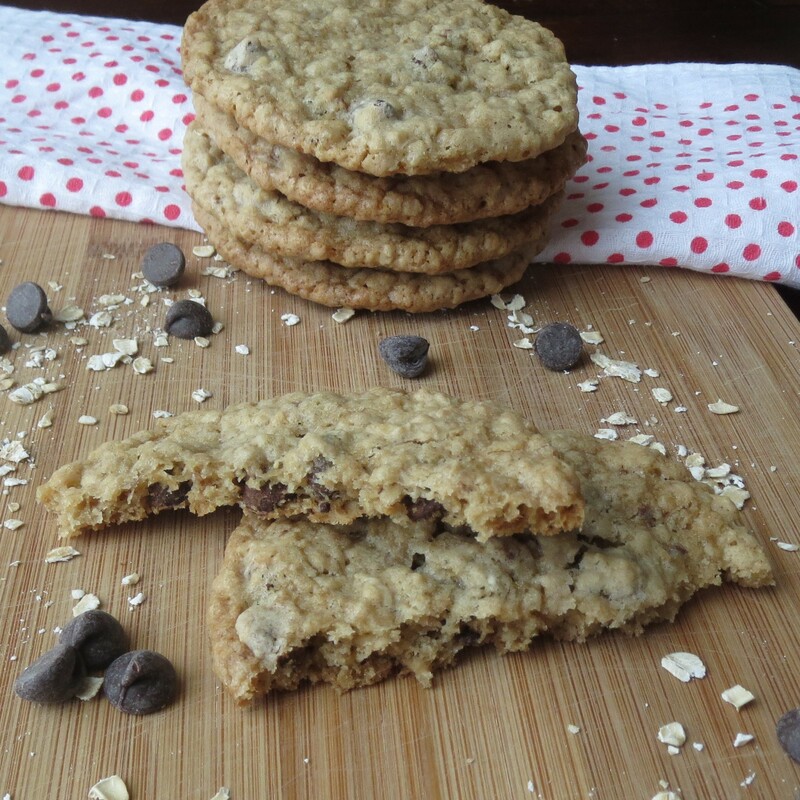 It is full of some of my very favorite cookie recipes of all time. Any time I feel like making cookies, I just start thumbing through it. I’ve made at least half the cookies in this book. 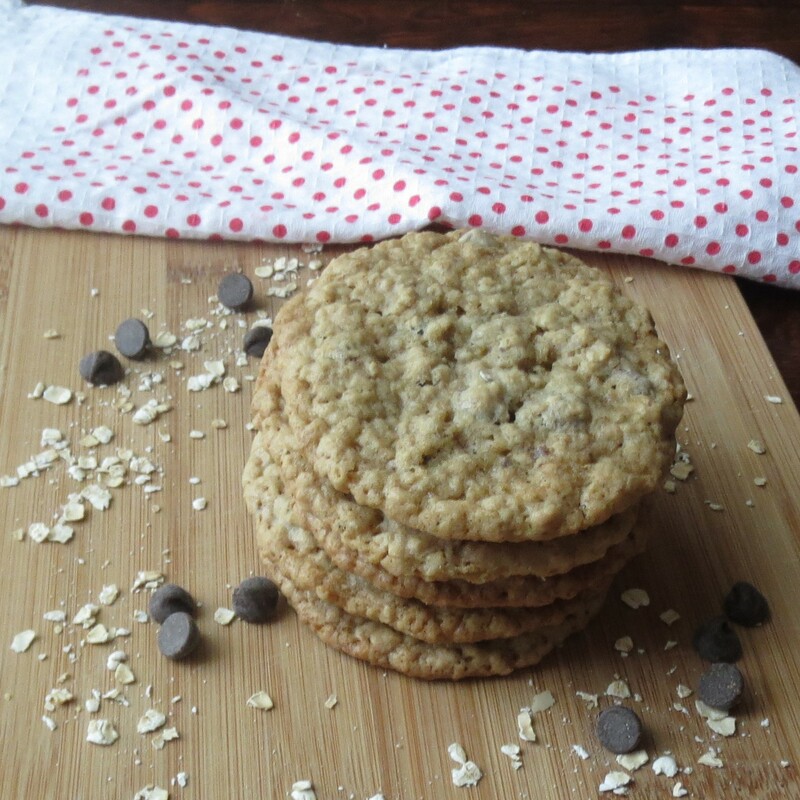 I tried a new one yesterday, for Chewy Chocolate Chop Oatmeal Cookies. As you can see, they turned out a little flat- next time I will add another 1/4 cup of flour and 1/2 tsp more baking soda. Although not terribly pretty, they were delicious. My husband ate 4 of them – FOUR directly out of the oven. 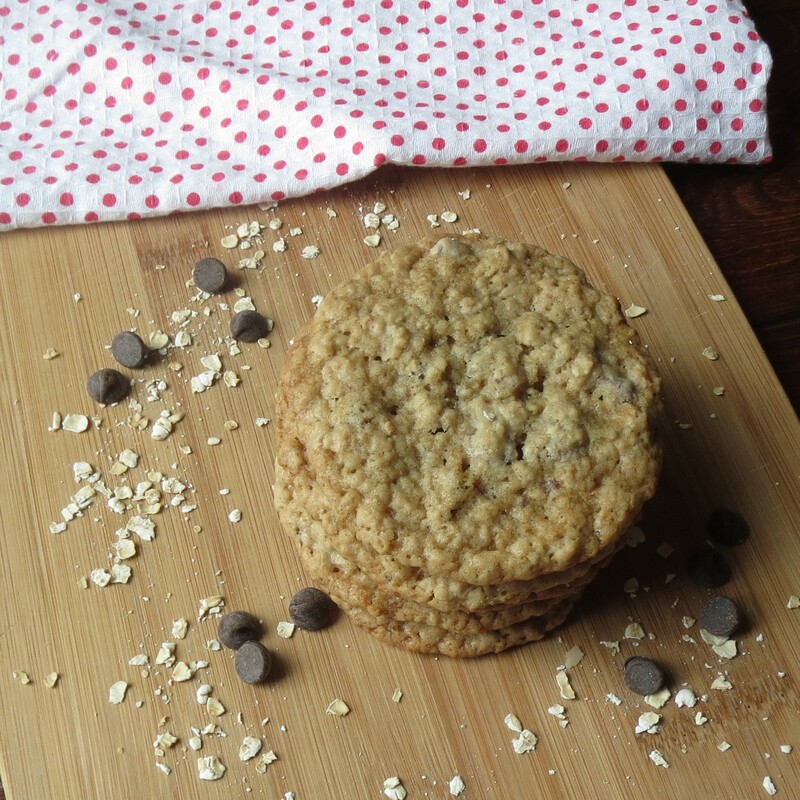 They have that sweet/saltiness that we all love in oatmeal cookies, and the flatness makes them crispy around the edges and soft in the middle.